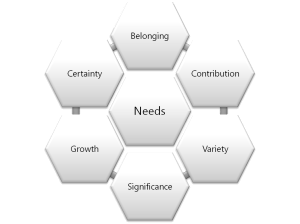 There are several models available for describing our basic needs; a good compilation can be found here. These models range from lists of 3 to many, any needs. 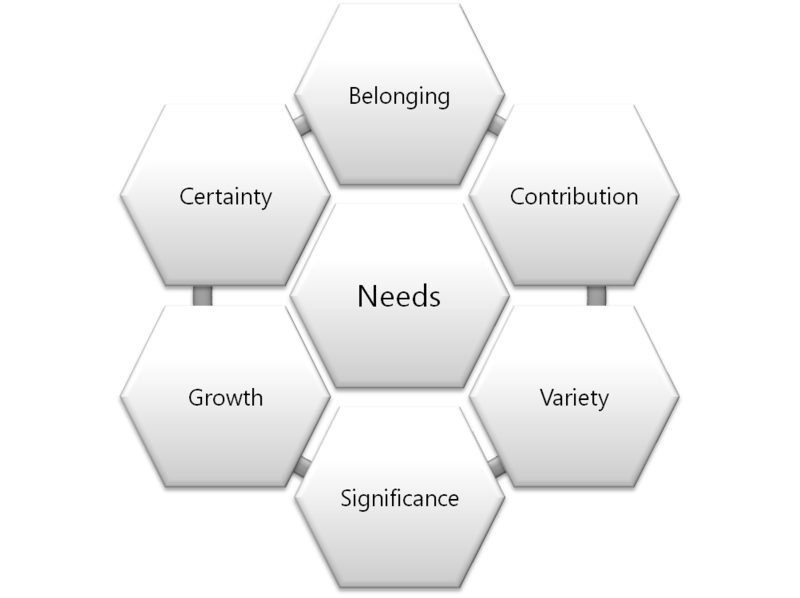 I have found Tony Robbin’s model interesting since it captures opposing needs- something that seems fundamental in setting up the dynamics of trying to balance our needs overall. Needs can be considered as a primary cause requiring actions to be taken. Our assessment of how good a job we are doing meeting needs often leads to belief formation.